Next to Crocs, fleece jackets are probably the least "fashion" clothing items They're for parents on walks in the Peak District, and they usually come with Patagonia or Berghaus branding. But what if I were to tell you that fleece jackets, much like Crocs, are being given a new, fashionable life this season? 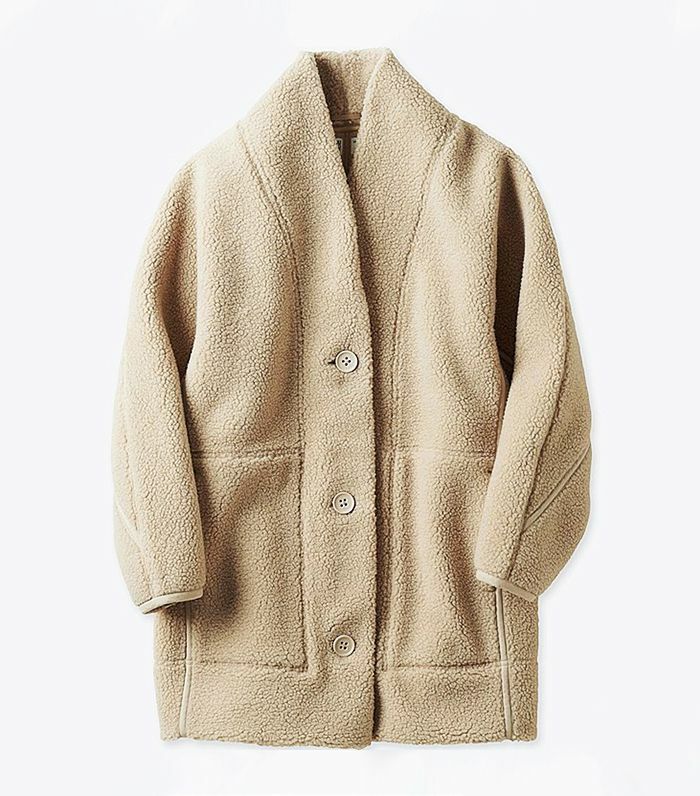 Thanks to Uniqlo U's new collection, I'm now desperate to get my hands on a fleece. This is the third U collection from the high-street store, which is led by artistic director Christophe Lemaire. All the pieces, including the fleece jacket, come in mainly neutral colours, and are inspired by the "drive to make clothing an ideal expression of its wearer." Essentially, Uniqlo has reinvented wardrobe basics. Along with the fleece, I've picked eight other pieces I can't wait to get my hands on. Keep scrolling for everything you'll want to shop. See how chic this is? Belt it to give it shape. The perfect white tee, and it's under £10. You always need a red jumper in your wardrobe. A gorgeously designed trench coat. You can never go wrong with a peacoat. Puffer jackets are still everywhere this season. Easy to wear and super chic. This one is ideal for the office but also tucked into skinny jeans and with heels for a night out. A down coat that's also seriously stylish.